Until I read an agent’s blog in San Diego, I did not realize we had small dumpster junk removal in Sacramento. Probably because the last time I rented a large dumpster, that rental cost me $300 in 2002. I shudder to think what those prices would be today, probably $500 or more. However, I can say thank goodness we live where we do in Land Park because my junk removal program now consists on dragging said item to the curb. Within an hour — I don’t care what kind of crap I stick in the street — it’s gone. I’d like to think a deserving family is cooking on our old Weber grill but the likelihood it is an entrepreneur. Probably re-homing items for a fee, would be my guess. Flipping trash. But maybe not. And in any case, what difference does it make? The point is I saved myself from having to rent a dumpster. However, maybe you do not live in a neighborhood where you can stick an old sofa in the street and watch it vanish before your eyes. If so, then this service might be for you. Or, maybe you have stuff nobody wants like cement blocks or construction debris. It serves a definite market that needs trash hauling. Not surprising, our small dumpster junk removal in Sacramento is a service offered by Waste Management. Questions? Let’s start with the basics. The small dumpster junk removal bag is called a Bagster. Pretty clever name for it, don’t you agree? How much trash does it hold? About 3 cubic yards, and you can get rid of just about anything. There is a limit on construction waste material that is heavy, but you can read all the fine print at Waste Management. 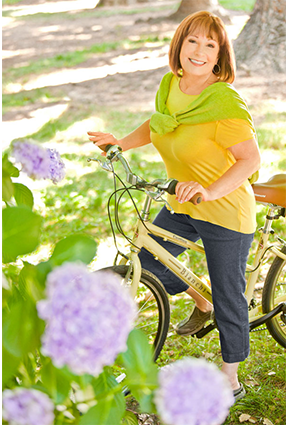 First you buy the bag itself, which is $29.95, if you purchase the Bagster at Amazon. There are other retailers but why not just go to Amazon? Unlike Home Depot, which supports the MAGA regime. I will never shop at Home Depot again and only patronize Lowes today. In fact, I hired Lowes as general contractor for our whole house remodel in Kona, Hawaii. So kiss those dollars goodbye, Home Depot. But I digress. The point is first get the bag and then set up collection through Waste Management. As long as you set up your collection service online, the fee is $179 for the first bag and the company offers a discounted price for additional bags. 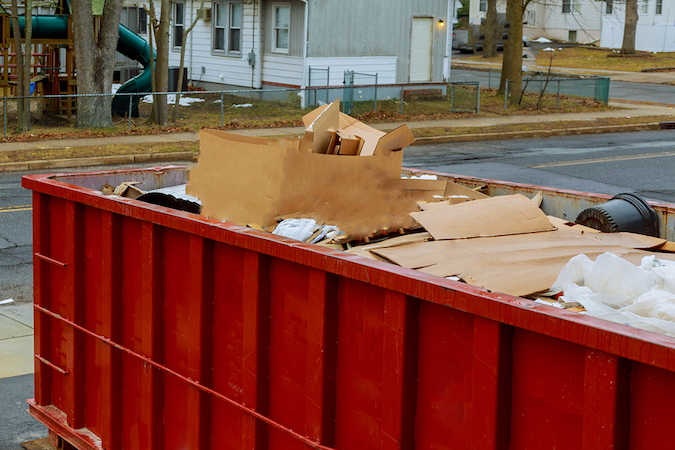 The small dumpster junk removal in Sacramento is not available in every city or area. For example, you can’t use this program in West Sacramento. But most of the main areas in Sacramento are covered, including Fair Oaks and Carmichael. Hope you have found this information helpful and a good solution for getting rid of smaller containers of trash. I’ll be sure to share this with my sellers because every home could use a bit less clutter before selling. 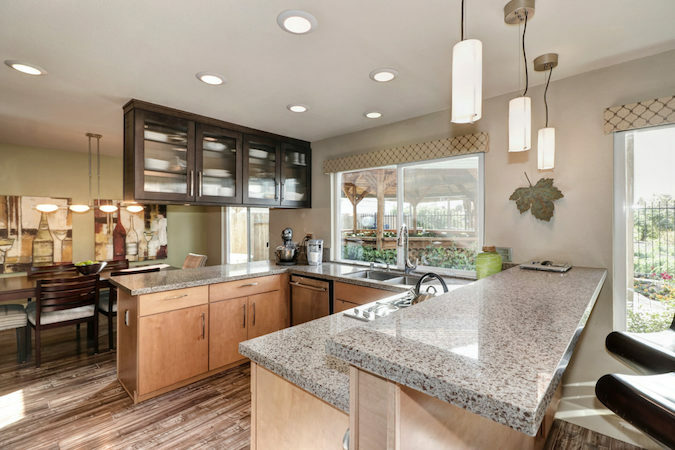 Sacramento home sellers rarely understand why a buyer expects receipts for repairs. I know this because some sellers think it’s unnecessary. The buyers can see the new A/C unit in the yard, sellers say. Or they ask: should we take a photograph and email the photo? But I suspect sellers think it is very odd and peculiar that buyers ask for receipts for repairs because they are not a buyer. Further, they are probably still reeling from the unexpected cost. Because nobody installs a new A/C unit unless it is required. Spending large sums of money out-of-pocket that was not anticipated can throw some people for a loop. Hard to focus on where the buyers are coming from when a person is staring at a depleted bank account. Not only that, but it’s generally not the buyers who ask for receipts for repairs. It is the buyer’s agent. The reason the agent wants the receipts for repairs in part is to partially transfer liability. They crafted a request for repair, generally, and expect to see verifiable results after completion of the agreed-upon work. Also, the receipts for repairs tell the buyer who did the work and how much it cost. That invoice probably won’t disclose whether the contractor pulled a permit, though. Many contractors and handy men/women do not get a permit because it’s a hassle or they don’t know if it’s required. I’d be remiss if I didn’t point out that some permits require other types of upgrades the home owner does not want to pay for. I’ve had escrows in which the seller shot a cellphone pic of the invoice but it was rendered unreadable or too small to enlarge. Scanner apps tend to work better than taking a cell photo. But not every seller wants to fuss with downloading an app. They could mail or fax or ask the contractor to drop it off their agent’s office. But no matter how you cut it, buyers still need receipts for repairs when a seller fixes or installs something new during escrow. If it’s a sudden repair, the seller might also want to update her seller disclosures for the buyer. This can be accomplished through an addendum to the SPQ. I understand why sellers are reluctant to produce receipts for repair, but it’s better than having the buyers try to track them down after closing to ask who did that work? 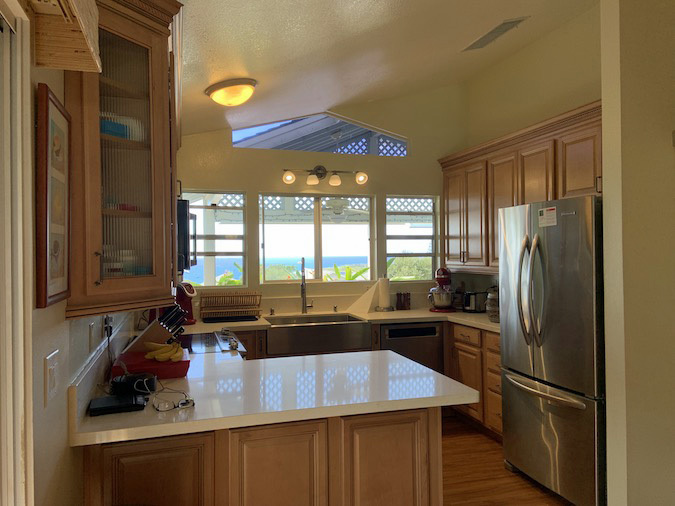 Because I am not in Hawaii all of the time, I divided and scheduled our Hawaii bath remodel project into two phases. The first phase guts the guest bath and replaces the bath tub, vanity, toilet, medicine cabinet, lights, mirror and flooring. The master Hawaii bath remodel project is a two-part job. 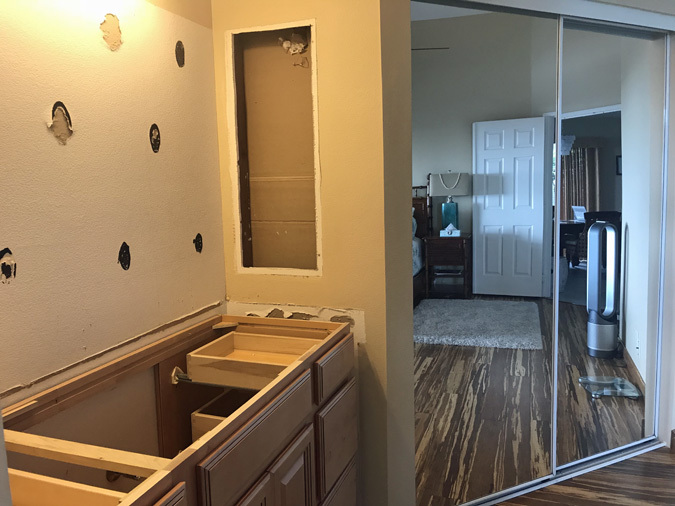 First phase is replacing the cabinet, light, mirror, medicine cabinet and flooring. This way I figured we will still have use of a toilet and shower and we can always use the kitchen sink when brushing our teeth. It’s a bit like camping. The second phase will be this winter. It involves replacing the shower in the master and remodeling the entire kitchen. So what can go wrong? Well, a lot, actually. But I don’t want to cross the bridge twice, so I won’t go into everything that could happen and will just share what did happen. First, I hired Lowes to do our remodeling project. All my friends in Kona say they are sooooo expensive, but at least I have a point person who will coordinate the workers. I do not want to be on the phone at 7:30 AM asking where they are. Got other things to do, like sell Sacramento real estate and staying on top of my files from Hawaii. 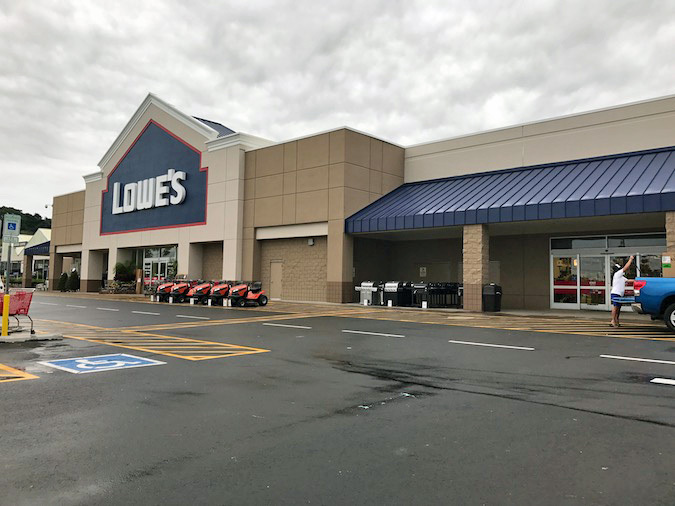 I figure letting Lowes hire the workers is better because if one of the guys can’t get out of bed and drive into Kona from Ocean View, they’ll find another who will. Lowes is expensive but not totally out of whack. Well, there are a few charges that seem a bit excessive. 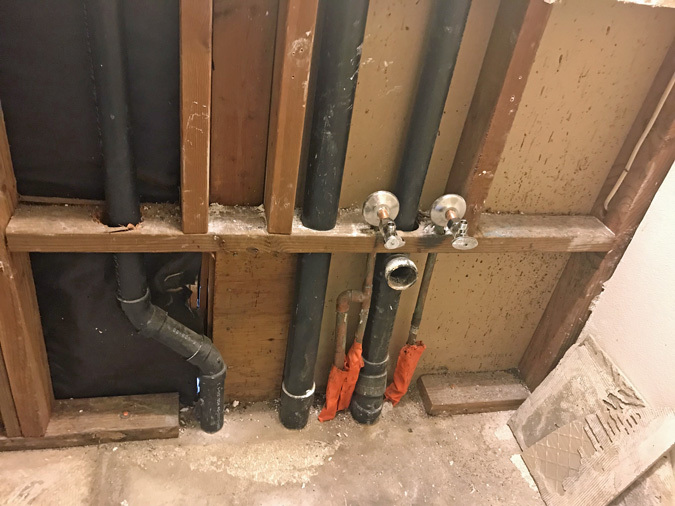 After the workers gutted our guest bath, they discovered a leaking shut-off valve. They replaced it. But now it explains why the bath always smelled wet. We were constantly replacing Damp Rid containers. Although the previous owners of the house said they did not know anything about moisture or leaks in the guest bath, I wonder how they could not notice it. I saw cracks in the ceramic, and the floor was a bit hollow. It has most likely been leaking for years. However, only about 3 feet of the drywall was damaged. The workers pulled up a couple tiles that lost their integrity — a hollow sound. For that little side job, Lowes demanded an extra $1,000. Like my husband says, they are charging about $1000 an hour for three guys to stand around and watch one guy cut 3-feet of drywall off the wall. This seems extreme. I could have pulled that drywall off the wall myself and reinstalled half a sheet for about $5.00. I’m handy with a drywall gun, hey. Still, I am staying positive that we will work it out with Lowes. What I didn’t like was receiving an email telling me I had 2 hours to stop whatever I was doing, which was Talking Story at Kona Haven Coffee, and call or drive over to Lowes to make payment. This is after paying Lowes almost $50,000 in advance. Of course, they sent the email to the wrong account so I didn’t even get that message in a timely manner. Breathe. Breathe. The secret to making it through a Hawaii bath remodel is to not sweat stuff. Go with the flow. Give people a chance to make it right. Besides, it’s only been one day so far. On Saturday, I learned the quartz guy had not yet shipped the quartz although I have been emailing, texting, calling for two months. My delivery date had not changed. Instead of arriving on Monday, it won’t get to our house until Friday. A few delays. Nothing major, though. We’ll see how long it takes Lowes to do the bath. I told them other owners in my community have identical guest baths with those awful fiberglass tubs. Since I figured out how to move the toilet with an offset, that allows for a wider and deeper tub to be installed. They could package this plan and sell it to my neighbors.